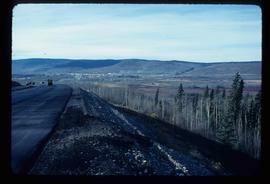 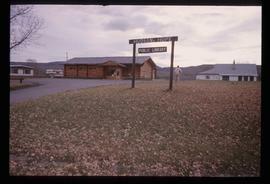 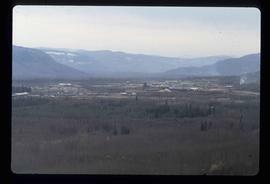 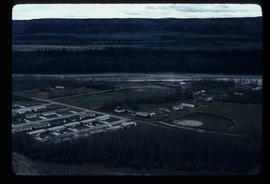 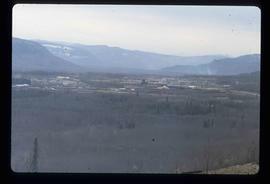 Image depicts a view of Chetwynd, possibly from Highway 97. 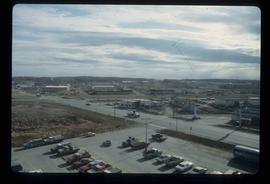 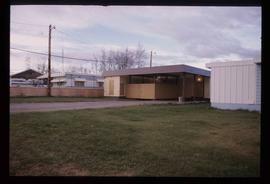 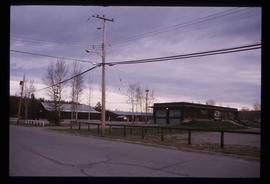 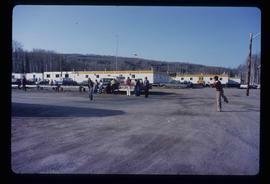 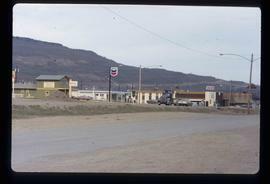 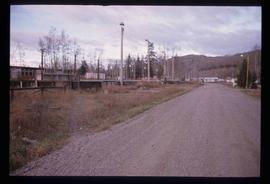 Image depicts a Chevron station as well as two motels in Chetwynd, B.C. 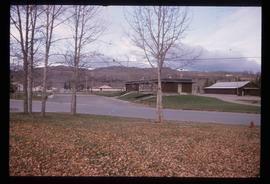 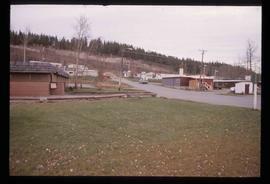 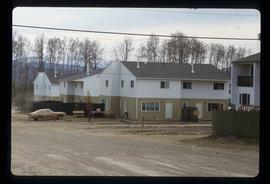 Image depicts several houses in Chetwynd, B.C. 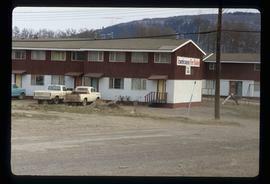 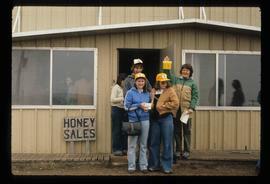 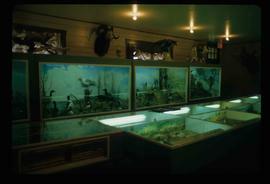 Image depicts several businesses in a small section of Chetwynd, B.C. 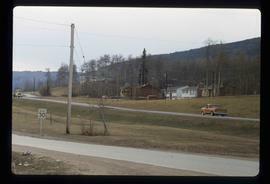 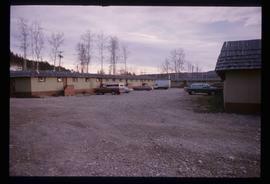 There is a motor hotel and a half-visible sign for an Esso gas station. 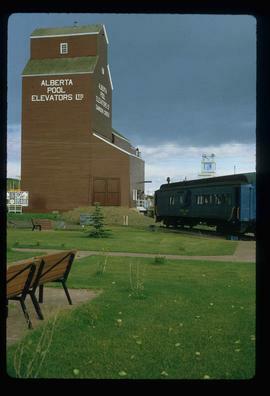 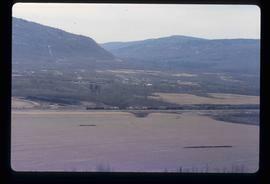 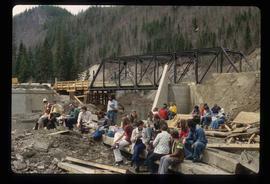 Image depicts a view of a train passing through an area of Chetwynd, B.C. 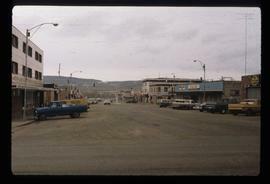 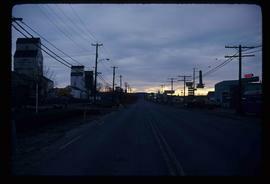 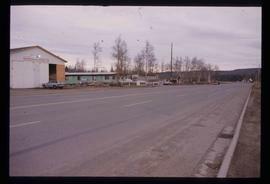 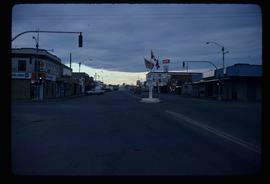 Image depicts a street of businesses and Mile "0" of the Alaskan Highway in Dawson Creek, B.C. 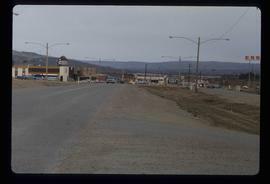 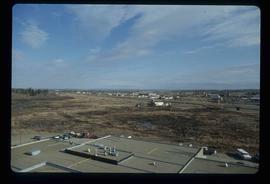 Image depicts Mile "0" of the Alaskan Highway in Dawson Creek, B.C. 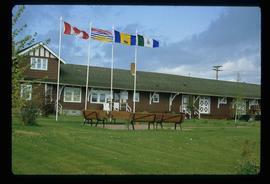 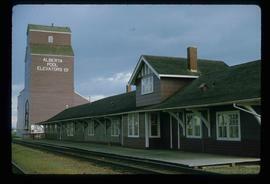 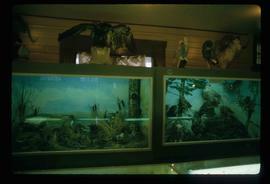 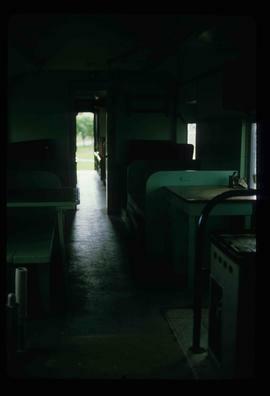 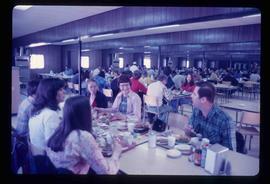 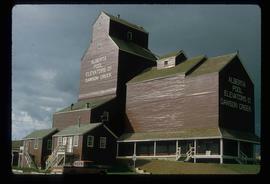 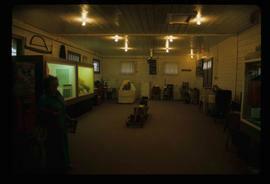 Image depicts the interior of what is possibly a heritage building in Dawson Creek, B.C. 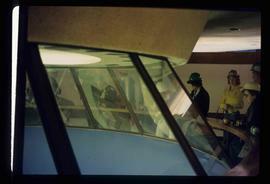 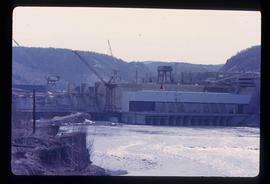 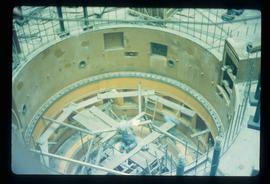 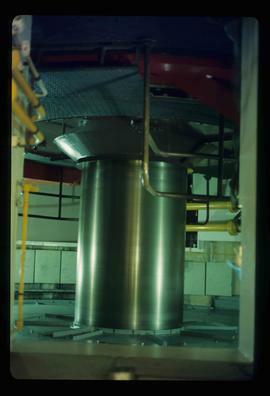 Image depicts two individuals at work inside what appears to be a piece of machinery. 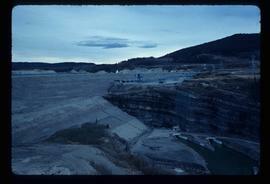 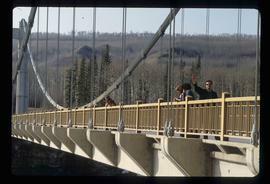 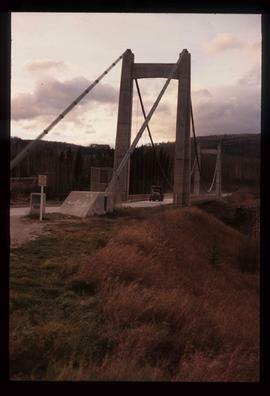 It is possibly located somewhere in Fort St. John, B.C. 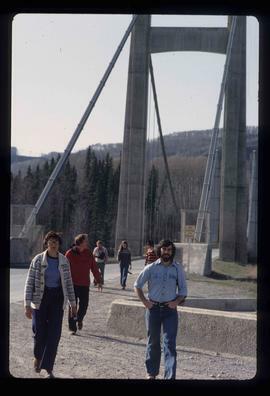 Image depicts a group of unidentified individuals look through an observatory window at an uncertain location, possibly in Fort St. John, B.C. 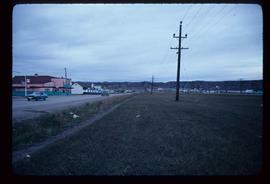 Image depicts a street of shops at an uncertain location somewhere in the Peace River Regional District. 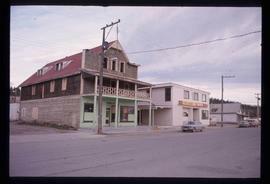 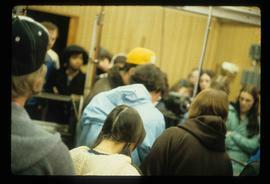 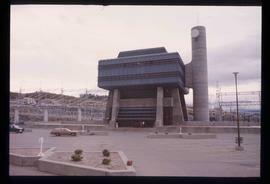 A pink and blue building, possibly a theatre, is labelled "Lux."